Spouge is a style of Barbadian popular music created by Jackie Opel in the 1960s. It is primarily a fusion of Jamaican ska with Trinidadian calypso, but is also influenced by a wide variety of musics from the British Isles and United States, include sea shanties, hymns and spirituals. Spouge instrumentation originally consisted of cowbell, bass guitar, trap set and various other electronic and percussion instruments, later augmented by saxophone, trombone and trumpets. Of these, the cowbell and the guitar are widely seen as the most integral part of the instrumentation, and are said to reflect the African origin of much of Barbadian music. Two different kinds of spouge were popular in the 1960s, raw spouge (Draytons Two style) and dragon spouge (Cassius Clay style). The spouge industry grew immensely by the end of the 1970s, and produced popular stars like Blue Rhythm Combo, the Draytons Two and The Troubadours, Desmond Weekes. 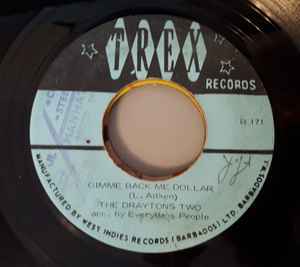 Desmond Weekes, the former lead singer of the Drayton Two claims the 1973 album Raw Spouge to be "the only 100 per cent spouge album ever produced". The album topped the charts in a number of islands, including St. Kitts, St. Lucia and Dominica.